Noella (Little Mustache) Wells, (B.Ed., 1977, U of L; M.Ed., 1991, UBC) is the Iniikokaan (Painted Buffalo Lodge) Centre Director at Bow Valley College, since 2007, she has held that position. Her educational experience includes working in First Nations’ schools, adult education, coordination of research projects, including the Treaty 7 Education Review (2003); and the First Nations Journey’s of Justice Curriculum (1994). Given her accomplishments in teaching, research and program management, she is dedicated to supporting Indigenous students who enter post-secondary education. Given the diverse and unique cultures of Indigenous peoples (First Nations, Metis, & Inuit), Noella follows her present Niitsitapiisini educational philosophy of “Mokakit Iiyiikaikimaat” (Strive for Knowledge and Try Hard/Persevere) in supporting Indigenous learners succeed. Noella is from the Piikani Nation (member of the Blackfoot Confederacy (Niitsitapi) and has in the past worked on Treaty 7 educational initiatives. Noella is from a huge extended family with 2 daughters and 12 grandchildren (whose lineage includes: Cree, Nuuchalnuth, Kwak Waka wakw, Scottish, French, Nufie, Hungarian, Jewish, Kainai, and Piikani). Together with her husband, Chuck, who is Mohawk, encourage their grandchildren to enter post-secondary education. Her belief is that all Indigenous (Metis, Inuit, First Nations, Status Indians, and Non-status Indians) people should have the opportunity to know about their Indigenous identity while walking in two worlds: the First Nation’s ways and mainstream society. She supports Indigenous people to take their place in the Canadian workforce and be the role models/mentors to the younger generation. She believes that Indigenous youth should take time to also, maintain a balance in life, such as following the traditional teachings (language and culture) which leads them to excel culturally, emotionally, physically and spiritually. Crystal Manyfingers is a Teaching and Learning Consultant – Curriculum, Indigenization and Decolonization with Bow Valley College. She is a Blackfoot member of the Kainai First Nation of Treaty 7. She grew up on the Blood Reserve and as a child roamed the halls of the University of Lethbridge where her mother Dr. Helen Manyfingers was studying to earn her Bachelor of Education degree. This inspired Crystal to go ahead and enroll at the University of Calgary where she chose to major in English Literature. After completing her B.A., she decided to pursue a career in teaching (to follow in the footsteps of three of her siblings). She then went on to complete her Master of Education degree with a specialty in Adult and Workplace Environmental Learning. Prior to joining the Bow Valley College, Crystal was the Principal of the Bullhead Adult Education Center on the Tsuu T’ina First Nation for over a decade. Throughout her educational career, she has worked with many groups and agencies at all community levels including Federal Government of Indigenous and Northern Affairs, Alberta Education, City of Calgary’s Aboriginal Education Domain, Treaty 7 Principal’s Association, numerous Boards of Education and parent advisory committees. Crystal has been the Lead Instructor of Literacy and Essential Skills with the School of Foundational Learning since August, 2015. One contribution worth noting is her involvement and design of the Aboriginal Upgrading Program’s Elders in the Classroom and Elders on the Land. Presently, Crystal has been seconded to the Academic Innovation and Applied Research Division as Indigenization and Decolonization curriculum consultant for our School of Health and Wellness and School of Community Studies. Patricia Pryce is the Program Coordinator for Literacy and Essential Skills, and Aboriginal Upgrading in the School of Foundational Learning at Bow Valley College. She has worked in Adult education for over 13 years. Most of this time was spent working with adults in rural Alberta and in Indigenous communities. She has a keen interest in the role of literacy in social justice and poverty reduction. This interest drives much of her work in the School of Foundational Learning. She has worked over the past three years in her current role to improve the Aboriginal Upgrading program with the help of an Advisory Circle and College supports. Part of the redesign was the incorporation of the Elders on the Land and Elders in the Classroom Program. Darmody Mumford is Anishnaabe-Métis, English and Celtic. She holds a Bachelor of Science from the University of Toronto and a Bachelor of Education from the University of Lethbridge. She has worked in the area of adult literacy for the past seventeen years. Her focus has been identifying and bridging gaps in order to help learners move toward their goals, greater self-confidence, and improved skills. In collaboration with educators, Elders, community members and learners, she co-created and facilitated an Indigenous Adult Literacy Program at Bullhead Adult Education Centre located on Tsuut’ina Nation. She also worked with Science Alberta Foundation and Indigenous Educators across the areas of Treaty 6, 7 & 8 to create the Indigenous Science Education Project. Darmody currently teaches math, science and computers in the Aboriginal Upgrading Program at Bow Valley College. She also facilitates connections between the Elders’ Teachings (Indigenous ways of being/knowing/doing) and key concepts in the curriculum. Outside of the classroom, she has completed her Level 2 teacher training in i-Rest yoga meditation. Russelle Burns is a member of the James Smith Cree Nation, and works as an Intensive Case Management Worker with the Awo Taan Healing Lodge Society. She has extensive experience working with youth and children. Russelle’s wealth of experience includes working as a school administrative assistant, substitute teacher, youth worker and social worker. Immediately completing her diploma in Social Work, Russelle secured employment working directly with youth and families. Russelle’s life is based on Indigenous values, knowledge and philosophy. She was raised in the community of Maskwacis, Alberta formerly Hobbema. She resides in Calgary on Treaty Seven Territory. She has two children, Jacob and Jenny whom she affectionately refers to as her ‘Js’. is Woodland Cree from Northern Saskatchewan and is a member of the Lac La Ronge First Nation in Treaty 6 territory. He is the Indigenous Learner Liaison Officer at the Iniikokaan Centre with Bow Valley College. Gerald is Two-spirit and his traditional Blackfoot name is Ai’ssoo which translates to “Warrior” which was gifted to him by Blackfoot Elder Keith Chiefmoon of the Kainai Nation .Gerald is a child of a survivor and grew up in a dysfunctional home, his mother is a residential school survivor with a grade 3 education. Gerald completed grade 12 on reserve than left for university at the age of 18. It was in Saskatoon Gerald found connection with Indigenous ways. Gerald holds a 4 year B.A. (2005) from the University of Saskatchewan and was the first in his family to hold a degree. His three younger siblings now hold University degrees. Gerald has 10 years’ experience working in the areas of Justice, Child & Youth Care, Cultural Exchange, and Youth Leadership. Gerald has a nomadic spirit and has travelled to 10 countries. He has lived and worked in Mexico, Ukraine, and Peru. Gerald’s future goals are to complete a Master’s degree in Educational Leadership, travel the world and continue to support and advocate for Indigenous youth & community. Bianca Baldo, Elections Canada – Bianca has over 10 years of coordination experience in advocacy, program management and capacity-building training in Ecuador, Vietnam, Cambodia, Jamaica, Canada, and Nunavut. 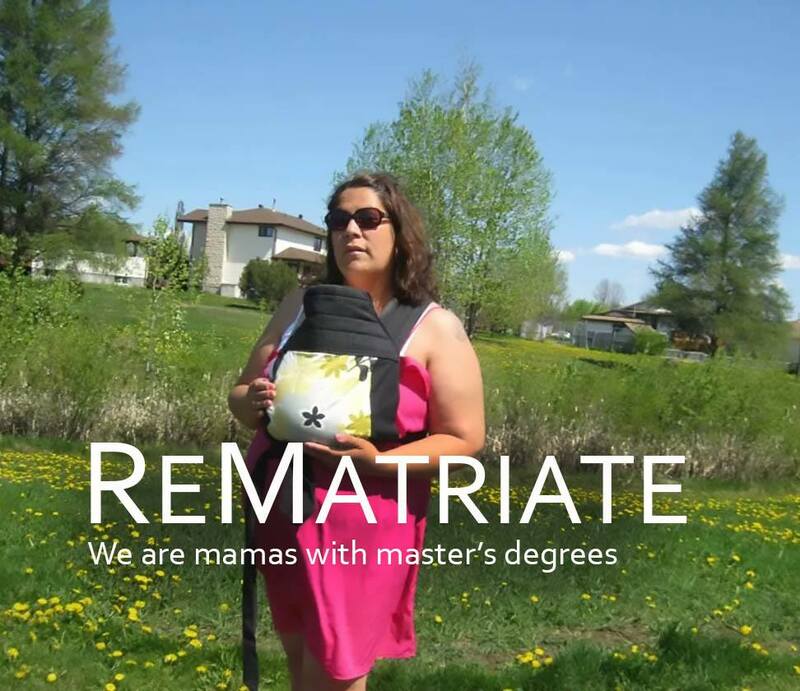 She has completed a Bachelors of Arts in Comparative Development from Trent University, a Civil Law degree from University of Ottawa and Masters in Law from McGill University. As relating to outreach and stakeholder engagement, she has worked developing public outreach material and training that foster community partnership and that strengthen the capacity of First Nations, Inuit, and Métis electors to exercise their rights. Her work with Elections Canada’s Inspire Democracy program has brought her to Sioux Lookout with the Equay-Wuk women’s committee, to Iqaluit with diverse community organisations, to Winnipeg with Indspire’s Soaring youth gathering, to Ottawa with NWAC, and to Thunder Bay at the Indigenous Knowledge Conference, among other events. Michelle (Michano) Richmond-Saravia/Makadaegobewiik, is from Biigtigong Anishinabek/Pic River First Nation from the Michano family, her uncle one of the longest standing Chiefs across Canada. She is also has Newfoundlander ancestry. She was born in Toronto and is from the Anishnabek nation and the granddaughter of entrepreneurs on both sides of her male lineages, one of her grandfathers worked in the cod fish industry as her roots are also from Newfoundland, and her grandfather was a store owner which he had built into his home in Pic River, and trapper. She has worked in the field of education since 2000, and built her consulting business beSuperior Consulting in 2015 which incorporates Indigenous Knowledge into curriculum or programs, and advises on how, and design. She has worked in Ontario with many organizations including Nishnawbe Aski Nation as an education researcher in the area of Education Jurisdiction, than as a coordinator/manager with Deputy Kakegamic. She has also worked in the area of justice, health, and art, as a consultant. I also enjoy Creative Writing, drama, and other creative areas. In Thunder Bay she had a close relationship with the LifeLong Care Program which provided support to Elders. About the name beSuperior came from the Lake I grew up on. “I wanted to capture the essence of where I was from, those strong ties to the Land, & Water, to family and place, and beauty.” I carry an Honours Degree in Indigenous Studies from Trent University, and always wanting to become a teacher, and at one point a VJ. 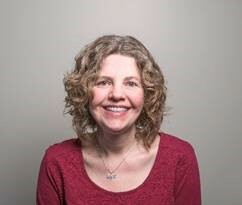 She carries a Bachelor of Education from Lakehead University, and a Masters Degree in Education from Lakehead University.